This is an Old Testament Arch Book that tells the story of the floating hand writing words of prophecy on the wall as found in Daniel 5. 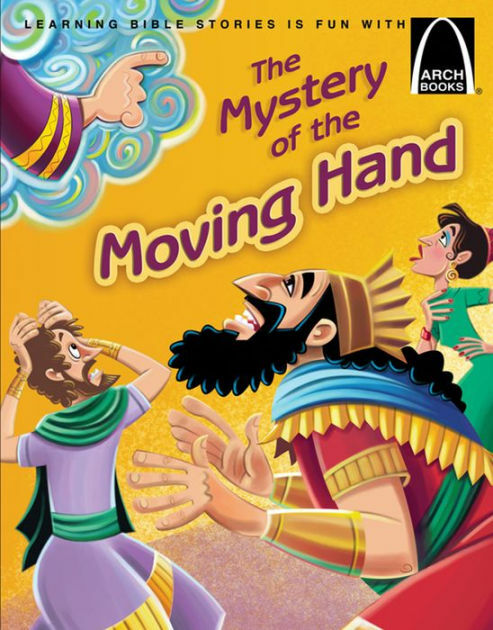 The Mystery Of The Moving Hand Arch Books by Larry Burgdorf is published by Concordia Publishing House and is our 7633rd best seller. The ISBN for The Mystery Of The Moving Hand Arch Books is 9780758646033. Be the first to review The Mystery Of The Moving Hand Arch Books! Got a question? No problem! Just click here to ask us about The Mystery Of The Moving Hand Arch Books.